The scientists made those assessments after studying human remains and artifacts discovered at a shelter-cave site called Buran-Kaya III in the Ukraine. Although this is a more complete archaeological setting, the actual first known Homo sapiens from Europe dates to 34,000 years ago from Pestera cu Oase in Romania. 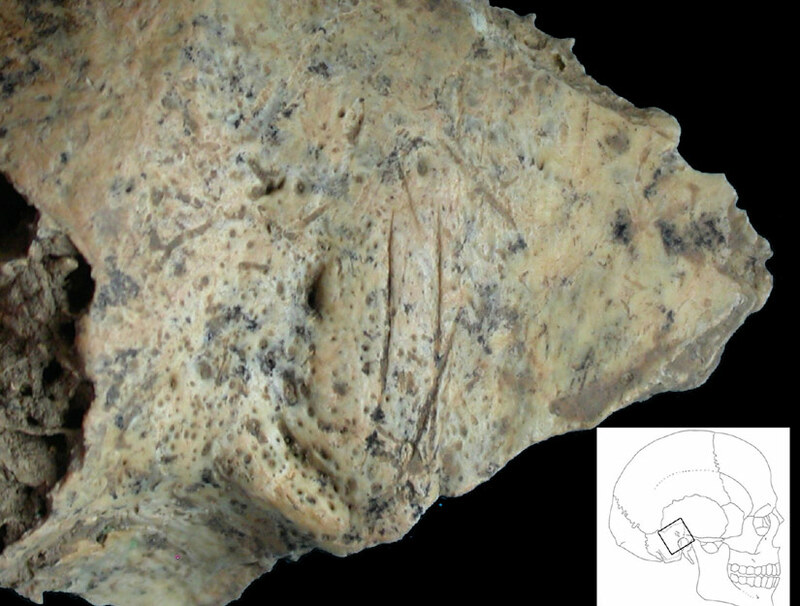 Yet another single modern human from Kostenki 1 in Russia dates to 33,000 years ago. The age of all of these discoveries intriguingly suggests that these first members of our species in Europe may have coexisted with Neanderthals. “Through our work in progress, some of the expected results could help to better understand the transition period of late Neanderthal and early Homo sapiens settlements in Europe,” Pean said. While the possible Neanderthal connection remains a mystery, it is more evident that these early anatomically modern humans wore mammoth bling. Artifacts excavated at the site include five mammoth beads, one engraved plate made out of mammoth ivory and 35 perforated shells. Since no mammoth remains or craft debris were found, it’s likely that the objects were made off-site. The remains of pointed bone tools and stone projectiles indicate these early Europeans were active hunters with busy associated tool and weapon-making industries. The discoveries support that the hunter-gatherers “repeatedly settled the rock shelter of Buran-Kaya III as a temporary hunting camp, and they mostly hunted saiga antelopes,” Pean said. Marcel Otte, a professor of prehistory at the University of Liege, has also excavated at Buran-Kaya III. He told Discovery News that he and his team found evidence for a 30,000-year-old culture at the same site, indicating the region was continuously inhabited for thousands of years after the first modern humans arrived. She is also interested in the possible Neanderthal connections. Pean and his team are currently involved in another dig at the same site, “so we are expecting new discoveries,” he said.